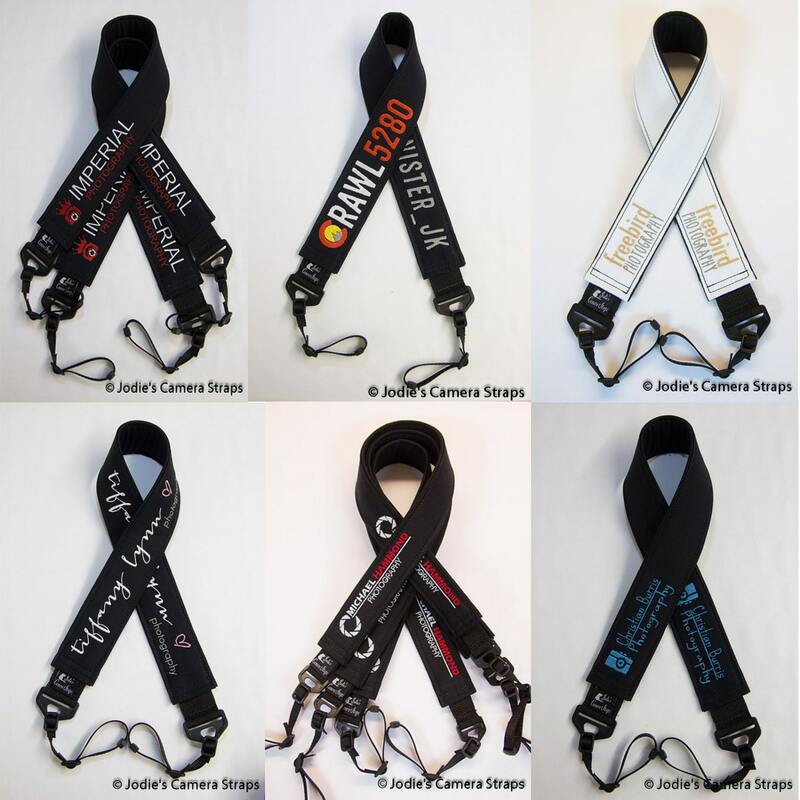 Important note: I will NOT start on your camera strap until I have your approval on the stitch simulation I send after receiving your order. (usually within 48 hours) Please check your email and your spam folder if necessary. 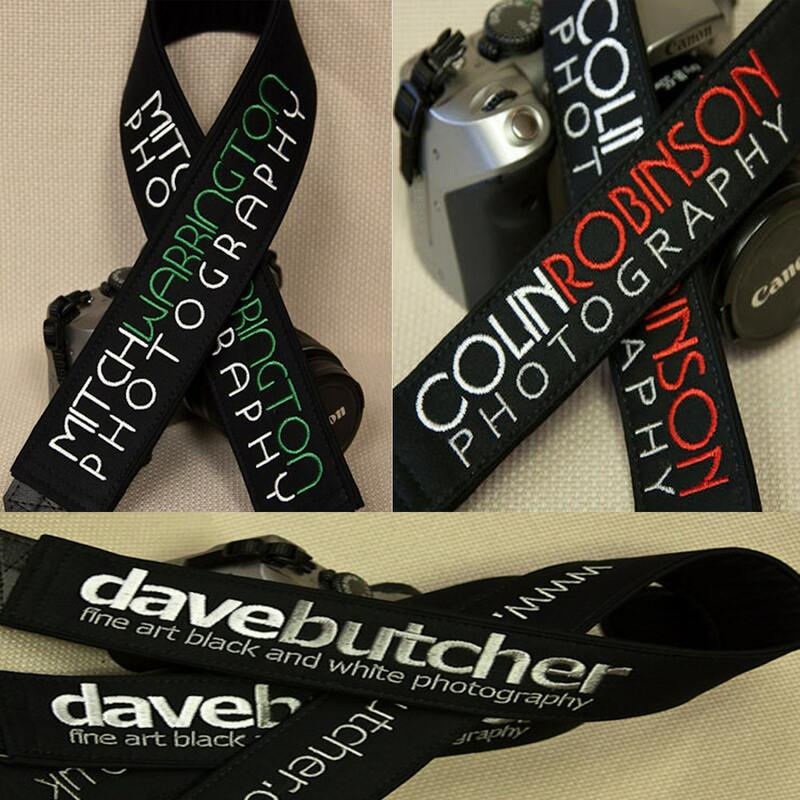 Solid color camera strap for personalizing with your business name or logo. Lots of fonts available - just a few are shown in the example photos. 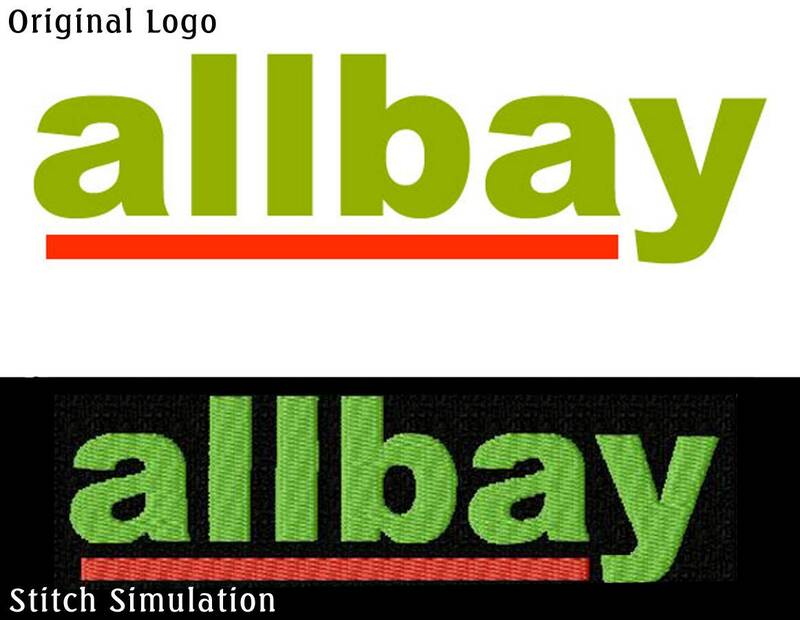 I can setup most business names and logos without the additional logo setup fee - just email for details. 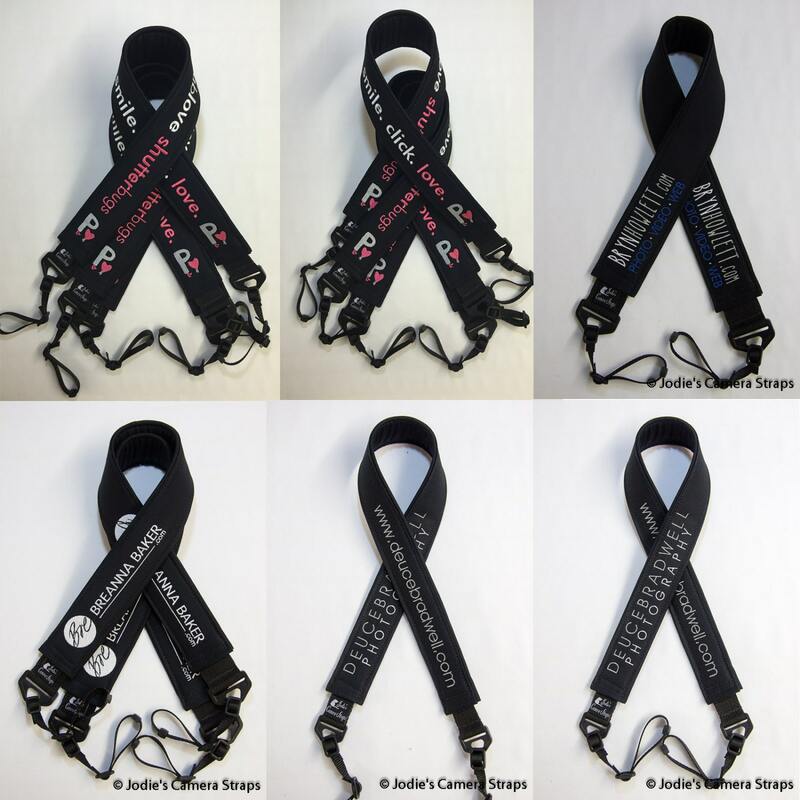 Please specify strap color choice in notes when ordering. I have several colors in stock - black, white, khaki, yellow, red, blue, green, orange, pink, brown, gray. If you want a color that isn't in stock, it only takes a day or so to get it. After I have all of your details I will send a stitch simulation for your approval before I start on your camera strap. You must approve this before I can start on your strap, so watch for a convo from me with that information. Limited to three edits. Please note that I make every effort to match your custom colors. 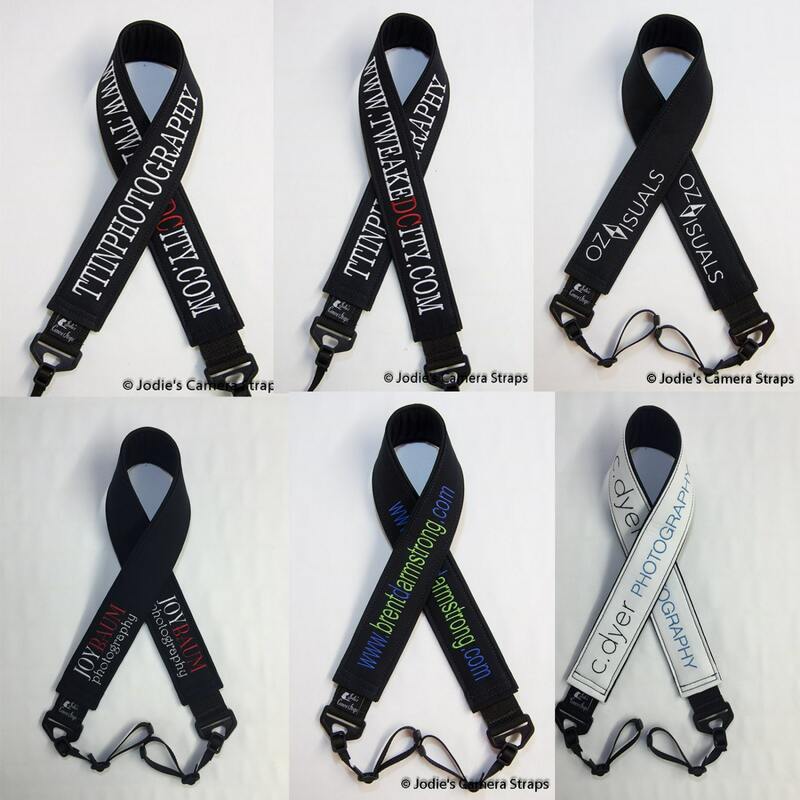 Designed with a padded cover over a sturdy nylon webbing strap that ensures comfort and safety. Fits any camera that uses a 3/8" strap - split rings available that will work on nearly all cameras, just let me know when ordering. Great quality! Easy deal. I would buy another. I ordered 2 straps as Christmas gifts. They were beautiful and of the highest quality. Seller was a wonderful help! 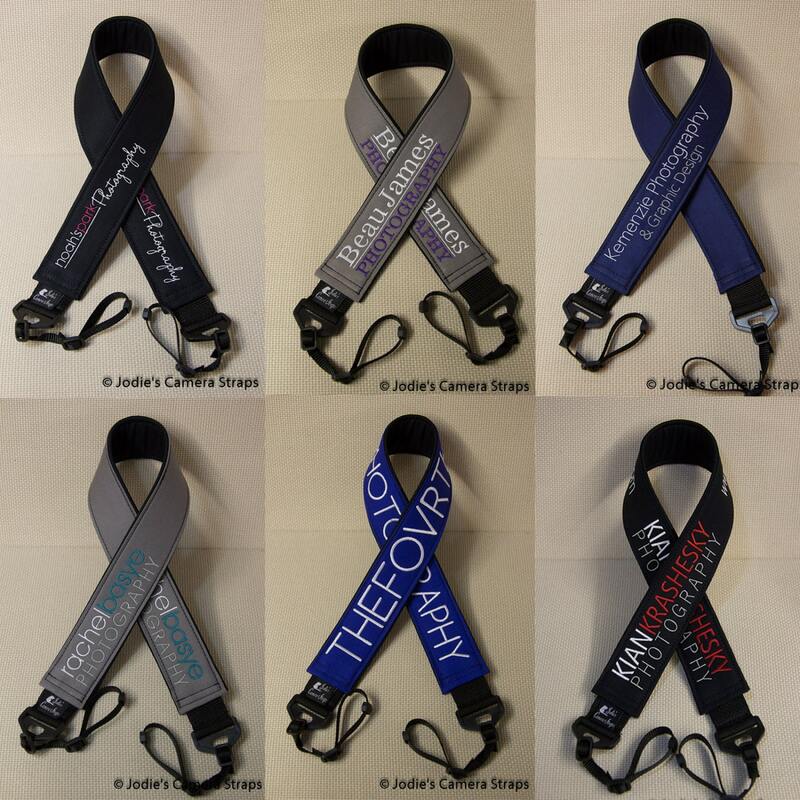 Oh my goodness at the quality of the strap and customer service! Five stars all the way!